A radio host (Bob Hope) and his loyal valet (Willie Best) accompany a young woman (Paulette Goddard) to Cuba, where she has just inherited a haunted castle known as Castillo Maldito. Together, they try to find out who is behind the mysterious presence of ghosts and zombies. 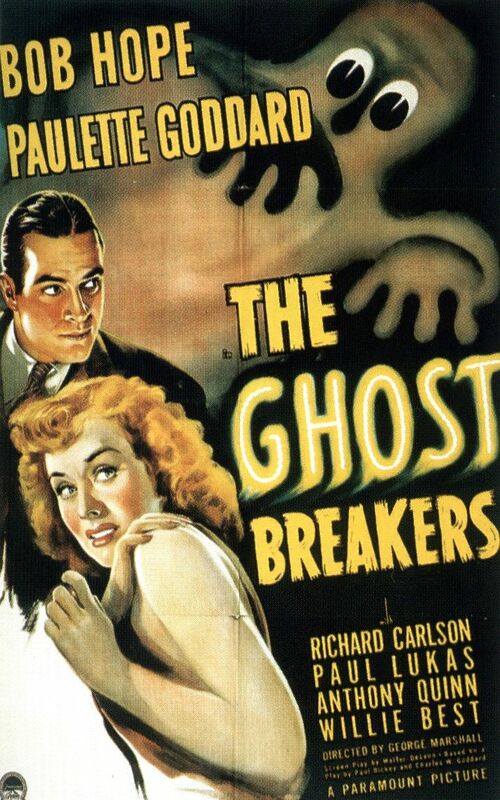 The Ghost Breakers (remade with Jerry Lewis and Dean Martin as Scared Stiff in 1953) is primarily notable as the successful follow-up to Hope and Goddard’s hit comedy-horror flick of the previous year, The Cat and the Canary. Despite its erstwhile popularity, however, The Ghost Breakers hasn’t aged all that well: while Hope, Goddard, and Best all give appealing performances, the script is only intermittently amusing, and often confusing. Fortunately, the atmospheric production values at least partially redeem the film’s clunky script, providing a few genuine chills and thrills. No. Although it holds some historical interest as a popular early vehicle for Bob Hope, I don’t think it’s must-see viewing for all film fanatics. Typically ho-hum Hope stuff and – as such – not a must. I don’t find the film confusing but it’s only verrry mildly amusing, and in spots at that. Director George Marshall serves things up neatly at least, so it has a decent look to it, production-wise – even if the cast doesn’t seem all that engaged overall. It’s true, this one has not aged well at all. In fact, its expiration date must have been not that long after its release.